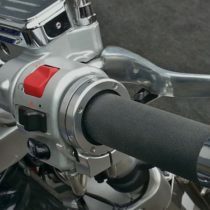 View cart “Brakeaway Cruise Control 1996 and Newer Honda CTX700” has been added to your cart. The names Harley-DavidsonTM, Softail, Sportster, Dyna, V-Rod and corresponding model letters are registered trademarks of Harley-Davidson Motor Corporation. Dynamic Cycle Parts Inc. is not affiliated with Harley-Davidson and only refers to these trademark names for fitment purposes only. © 2012-2019 Copyright Dynamic Cycle Parts Inc, All Rights Reserved.